The island of Trinidad and Tobago is situated to the east of Venzuela. It is the last two (2) islands of the Caribbean archipelago and is a member of the Leeward Islands of the Caribbean. 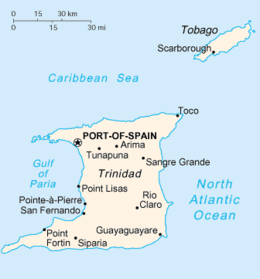 Trinidad and Tobago, the country, consists of both the island of Trinidad and the island of Tobago. The island is inhabited by many different races. While considered to be a third world nation, the island has progressively developed with industries, business and agriculture. The island is well known for its Carnival season and tourists are encouraged to come and experience the culture of Trinidad and Tobago.